with world class personalized, gentle care that you deserve. At Smile Dental WALK-INS & EMERGENCIES welcome! 18th Street Dental is located in the heart of DC and a place for family and friends to receive all their dental needs and services under one roof. Drs. Mir & Hunter hope to provide you with high-quality dental care in a friendly and comfortable atmosphere. Dr. Faisal Mir is a distinguished graduate of Howard University College of Dentistry. He completed his residency training at the College of Physicians & Surgeons of Columbia University in New York City, New York. Dr. Mir is trained as a general dentist focusing on cosmetic, and restorative dentistry. He has extensive training in endodontic therapy (root canal treatment), and periodontal surgery (gum treatment). He is also a certified Invisalign provider (clear braces). Our team of dedicated professionals are here to help take care of all your family's dental health needs and keep you informed on the latest developments in preventive dental care. If you want to keep your teeth and gums healthy and your smile bright, you need professional care. You also need information about preventive dental health care. A beautiful smile is a healthy smile! At Smile Dental, we offer a variety of cosmetic procedures to help you achieve a fabulous smile. The first thing people notice about you is your smile! Are you reluctant to smile because of missing, broken, painful teeth? We are here to help you! Whether your dental needs are minor or more complex: a tooth-colored filling, porcelain crown, root canal, denture, or implants, Smile Dental can help you smile again with confidence! 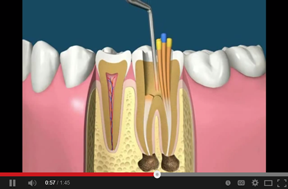 Root canal treatment is procedure that is used to repair and save a tooth that has become infected. 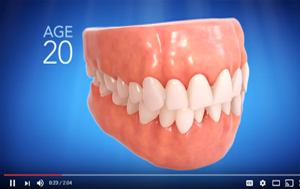 How does Invisalign work? 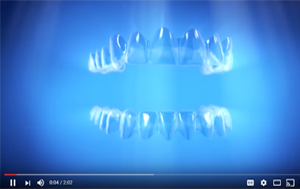 Learn about how Invisalign's clear aligners are an alternative to metal braces and can help you achieve the smile you deserve. Straightening your teeth can lead to healthier gums, improved oral hygiene and a decreased risk of abnormal wear. Clean the outer surfaces of your upper teeth, then your lower teeth, then move on to clean the inner surfaces of your upper teeth, then your lower teeth. The procedure involves removing the pulp and nerve tissue of a tooth, cleaning the tooth from the inside (the canals of the roots) and sealing the tooth. Without the treatment, the infected tooth may cause an abcess. Please contact our office for an appointment to determine whether or not you need a root canal or for more information.